World jazz is often, like unfortunately very often in fusion music, an arrogant endeavour to connect different styles that do not really have anything in common. 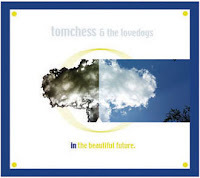 That is not the case on this CD by Tomchess & The Lovedogs (which can be ordered via CD Baby or downloaded trough iTunes), and which brings a mix of Arabian music, jazz (and ambient). Tom Chess plays ney, oud, reeds, guitar, djembe, and he has enriched his knowledge of these instruments in Africa and Asia. 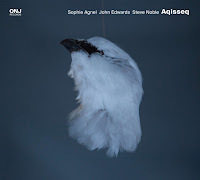 On this double album he is accompanied by Shane Shanahan and Ravi Padmanabha on percussion, Nathan Peck on bass and Alicia Rau on trumpet, all four strong musicians with a broad experience in both jazz and world music. The angle of attack for the album is world music, literally, because Tom Chess brings several of the pieces first solo on oud or ney, and the following song brings the same but with the whole band. And the musicians are good, something to be enjoyed in the long improvizations, and that is the best distinction between this band and many unsuccessful attempts by other bands. The overall feeling is one of world music, and even the street noises of voices that are thrown into the mix as background act functionally. This is pretenseless, respectful, nice world jazz, refreshing, tasty and lightly digestible like a bowl of fresh salad. The Portugese saxophonist Rodrigo Amado seems to replace Ken Vandermark in this trio with Kent Kessler on bass and Paal Nilssen-Love on drums. Vandermark played often enough with both of them in all possible line-ups and group configurations. Amado is also the sax-player in The Lisbon Improvisation Players, a Portuguese jazz band, with which Denis Gonzalez also made several performances. Amado is a different sax player than Vandermark, a little softer, more searching, more melodious, a little less energetic (but who isn't). The power of this band is that they create music, varying between hesitating and intense, calming each other, encouraging each other, propulsing each other to peaks, but without losing the focus, and with sufficient variation in the way they play their instruments to keep things fresh and exciting, even on the two longer pieces. The second of those, Pandora's Box, starts slow and searching, yet evolves into a rhythmic party full of intensity and musical joy, a piece in which both Kessler and Nilssen-Love get ample space for soloing. 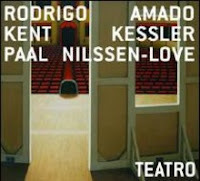 On the title song Kessler plays arco, Amado his baritone sax, and together they start the most abstract piece of the album, with the drums adding light touches and accents. This is no blowing fest, but very restrained, elegant and relatively accessible free jazz by three exceptional musicians. Highly recommended. This is an exceptional album, one you have to hear if you like world jazz. Sonny Simmons leads us on a spiritual and musical journey that is as repetitive as it is exciting, and the whole is impressive. I have listened to it many times and I'm still not able to distinguish one piece from the other, but that's irrelevant, and I think it adds to the overall hypnotic trance-inducing effect (not that I'm prostrated on the floor all shaking and rolling with my eyes, but close). The harmonium and synthesizer of Rosie Shakarian give a deep droning background, with Brian Glick's bass clarinet following them in the deep undertones, once in a while adding accents, and on top of that Sonny Simmons soloes on English horn, a deep-sounding oboe, an unusual instrument, which he plays in the Arabic scale and in combination with the deep sound, this creates a very sad and moaning tone. 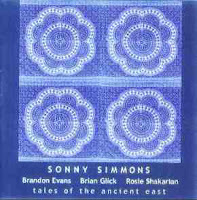 Brandon Evans adds some relief with his flute and Indische shenai (the instrument used by snake charmers). Once in a while there's some Arabic chanting, the only percussion is the odd tongue-slapping by the clarinetists. In short, a unique musical concept, repeated in every piece, gives of course a strong coherence to this album, which is, believe me, strong. 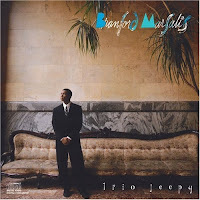 Once in a while I come across mainstream jazz albums which are very close to the musicality and freedom of spirit I like so much in free jazz, and these albums are often by small ensembles, such as trios or duos. Here are four of them, all highly recommended. This album is as soft, intimate, propulsing, creative and cool as you can imagine them. 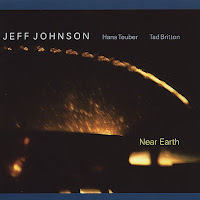 Jeff Johnson is a great and very sensitive bass player, Hans Teuber has great power and tonal variation in his sax, even in the softer moments and Tad Britton accentuates perfectly. Bluesy, boppy - a great album. This album is of the same tonality, even a little more cool jazz than the previous one, with Lenny Popkin on sax, his wife Carol Tristano (yes, Lennie Tristano's daughter) on drums and the great Eddy Gomez on bass. 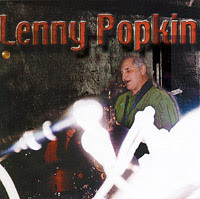 Lenny Popkin plays as if he whispers in his sax, as if he is afraid to be heard, with bass and drum offering sparse yet functional support. His sax playing goes back to Lennie Tristano's legacy, reminiscent of Warne Marsh and Lee Konitz, bringing slow but thorough improvizations on the given theme. Even the uptempo pieces give you the impression that these guys are afraid to create volume. As I'm not a cool jazz afficionado, this is quite an interesting new angle. This album is the trio's hommage to the masters : Ellington, Strayhorn, Carmichael, Rollins and even Ornette Coleman. Branford Marsalis, Jeff Tain Watts and Milt Hinton are in absolute top form and they are having so much fun playing these pieces, that you can hear the music smile. 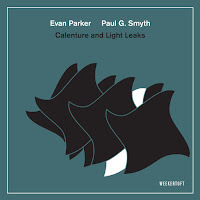 All three demonstrate their respective instrumental skills, exploring tonal ranges within the boundaries of what is allowed in mainstream jazz, but the interplay and the music receive the main focus. The directness of the album is illustrated by keeping in the mistakes and the vocal exchanges between the players in the mix. Best pieces are "The Nearness Of You" and "Peace". After three rather laidback CDs, here is one with an entirely different approach. 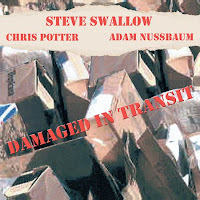 A little more intense, a little more uptempo, with Swallow's bass often the melodic instrument or in unisono with Chris Potter, supported by Adam Nussbaum. If you like masterful interplay and creative intensity, look no further, this is your album. All pieces are called "Item", and "Item 1" starts immediately with a strong uptempo rollercoaster, "Item 2" brings the kind of song we know from his collaboration with Carla Bley on "Songs With Legs". Swallow's 5-string electric bass allows him to play a lead soloing role totally different than with an upright bass, as in "Item 6". His compositions are more in the tradition of Monk, crafty pieces with unexpected angles, blues-inflections and lots of chordal spielerei. Highlights are "Item 6" and "Item 8/Item9" on which the interplay is to tight that it's hardly believable. This is a totally under-evaluated and under-exposed live album. Anyone with the least tiniest interest in jazz should go and get it. 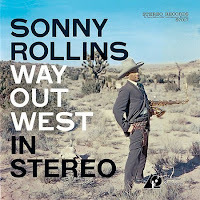 Ever since Sonny Rollins' Way Out West was released in 1957, with Shelley Manne on drums and Ray Brown on bass, the saxophone-bass-drums line-up has been a popular vehicle in jazz, and especially in free jazz because it offers so much room for soloing, for dynamic interplay and especially for powerplaying without having to care for the arrangements needed to avoid chaos with a bigger band. He kept using the trio setting for many more outings to come, of which the most recommended ones are : Night At The Village Vanguard and Freedom Suite. 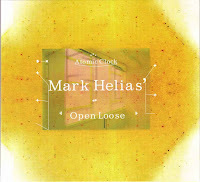 Bassist Mark Helias delivers a great album here, with his ensemble "Open Loose", consisting of Tony Malaby on sax and Tom Rainey on drums, and with Ellery Eskelin joining on one piece. These three stellar musicians bring modern jazz as it ought to be played : exciting, sensitive, technically strong and in symbiotic interplay. Highlights include Malaby's howling solo on "Chavez", the rhythm and tempo changes in "Cinematic", the slow, bluesy "Momentum Interrupted", the joint crying and mutually comforting saxes of Eskelin and Malaby on "Modern Scag", the avantgardistic and ultra-short "Atomic Clock", the emotional tension of "Zephyr" ... and I could go on, and those are many highlights for just one album. The band's name is no accident either. Helias lays a solid foundation with his compositions, but once that's established, the musicians build a very open and loose structure on top of it, very airy and with lots of improvizations, allowing the whole architecture to still evolve through the dynamics of the interplay, which strongly increases the expressive power of the whole. Recommended. 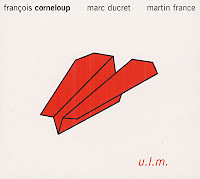 François Corneloup on baritone sax, Marc Ducret on guitar and Martin France on drums, bring us U.L.M, which stands for Ultra Léger Musical, in analogy with Ultra Léger Motorisé, the light motorized planes. The definition is a good descriptive for the music : flying, light, agile, yet with a strong propulsion, and a route map, and not just drifting around on the wind. The trio works with clearly delineated compositions and structure, with influences from free jazz, avant-garde and prog rock, and that of course fits perfectly well with the instrumental skills of the musicians. Ducret, whom we know from his solo albums, but also from his collaborations with Tim Berne, has a very recognizable rock attack in his playing and also in the sound of his instrument, yet he masters guitar jazz to perfection, although I think he cares more about what he gets out of his instrument than about the genres he's playing. Corneloup has a very warm, emotional tone, varying from lyrical to powerplay, and in that sense the drumming of Martin France is a perfect match, adding light accents here and there, but a real hard-hitter at times. And that's the fun part about this CD : a journey full of surprises for the listener, without repetitions or recognizable structure (and yet it's there, but you can't anticipate it), and the melodies are abstract and beautiful, with at times abrupt and high tonal changes, and all this with a very coherent vision and with an exciting drive. Corneloup is a wonderful soloist, and the warmth of his playing is the trump card which helps this band avoid the pitfall of so many emotionally distant avant-garde music. A great flight, without clichés, rich in ideas, and sensitive, and a flight to take many times in order to appreciate it fully. 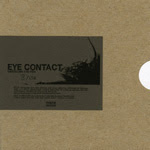 Matt Lavelle, trumpet player and bass clarinetist, together with Matt Heyner on bass and Ryan Sawyer on drums are "Eye Contact" who released on Utech this superb double CD, with more than two hours of free live improvization, recorded over two performances. Despite the limited line-up and the lenghty pieces, this band does not disappoint. Lavelle is constantly very creative with melody and tone explorations, emotionally and intense, accompanied by a rhythm section that complements him perfectly, both in the quiet or on the harder moments. The overall effect is rich, impactful music that keeps the attention going. At least mine, which can not be said of the audience, that keeps talking at the bar, apparently unaware of the performance. Luckily they get quiet over time as Lavelle and band start catching their attention, and they move into enthusiastic and spontaneous screams and handclapping over time. Not always for sensitive ears, but definitely for sensitive souls. William Parker and Hamid Drake, where have we heard these two names before? Not only on bass and drums this time, but also on doson'ngoni (African guitar-like instrument), shakuhachi (Japanese flute) and a whole array of smaller percussion. With these ingredients the two masters create an intimate polyrhythmic worldjazzfestival on their own, a spiritual quest to the essence of music and interplay, now happy, then trance-inducing, or again hypnotic, or sad, or quietly meditative, ... but above all, these two musicians enjoy what they're doing, simple, composed, yet musically rich and well attuned to each other. There is in fact only one real jazzy piece on the album, "Anaya Dancing" a duet of drums and bass and here they perform every trick of their trade demonstrating what keeps them together all this years : changes in tempo, laying accents where needed, bopping, freaking out, leaving space, prompting the other one, anticipating, reorganizing the rhythms, you name it ... they do it here and with what kind of joy! Music can be fun. And what a difference we find on this album. Lafayette Gilchrist is a piano player with a peculiar own style, noisy, all over the keyboard, droning, thundering, always chasing forward, without leaving any space or rest points, and the way he improvizes on this CD, I often wonder whether he knows where he's going. The title is "Duets", yet at moments I also wonder whether Gilchrist is even aware that a drummer is accompanying him, just to say how limited the interaction is between both. Gilchrist keeps pushing forward and Drake tries to get a grip on what's happening, but often to no avail, and whatever Drake does, Gilchrist doesn't seem to listen. Lafayette Gilchrist's first solo CD had something special because it brought something new, but this is not a memorable recording. 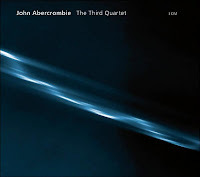 John Abercrombie has been very productive lately. On this album he reunites his quartet with Mark Feldman on violin, Marc Johnson on bass and Joey Baron on drums. He kicks off hard with a raw yet sensitive guitar sound, and ends the album with acoustic yet equally sensitive playing. And that's his strength : to create musical tension and to bring variation without having to resort to needless technological distortion of aimless noodling. The first piece "Banshee" starts great, with nervous guitar and drums, supported by quiet violin and bass. Abercrombie gives us some great compositions here and he remains the true master of economic guitar. Less is more and indeed he offers us impact. Other highlights are "Round Trip" and "Elvin" in which Feldman gives a great solo. 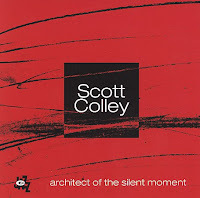 Bass-player Scott Colley is accompanied by some of the greats of modern jazz : Craig Taborn on piano, Ralph Alessi on trumpet, Antonio Sanchez on drums, with on top some great guest musicians : Adam Rogers on guitar and Jason Moran on piano. Despite the somewhat abstract melodies, this album is relatively accessible. Technically very strong although I would have liked some more risk-taking at times. A new voice at ECM : the piano of Anat Fort. With Perry Robinson on clarinet, Ed Schuller on bass and Paul Motian on drums. 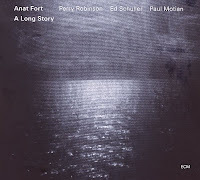 Quiet, typical ECM music : great production, great sound quality, great musicians, yet haven't we heard all this before? Paul Motian is to me the real star of this album. For those who like it quiet and subdued. 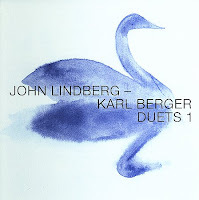 Master bass-player John Lindberg plays duets with master vibes-player and pianist Karl Berger. Quiet and respectful they circle around each other's improvisations. No fireworks. Well-made, but nothing more than that. This quartet has delivered some great material in the past few years, yet this time they excell even more. Braggtown is an album that deserves more attention than this short review I write about it, yet this is not a mainstream blog, that's why. From the first tones of the first piece "Jack Baker" the fire is in the music and it keeps roaring till the very end, indeed, also the quieter pieces are no less intense and keep the listener's attention high. 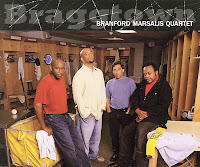 Marsalis' tone is so pure and his overall playing is, especially in the improvisations, stellar. Peak moments are the uptempo "Blakzilla" with rebellious rhythms and wonderfull interplay, kudos for Jeff "Tain" Watts on drums here, and the next piece, "O Solitude", is a slow bluesy ballad on which Marsalis plays a melody on his soprano which might have made Bach jealous, such classical beauty it offers. 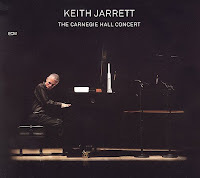 A new solo album by Keith Jarrett, well that has been long in the waiting, and it offers him space and freedom to move about without taking anyone else into consideration, and what he brings us here reminds us the best of his best solo pieces from the past, and that's no small compliment. He brings the whole works : abstract pieces (part IV), modern classical, but also almost "poppy" melodies (part VII), quiet romantic pieces (part III en VIII), even without his usual humming, and he even brings "My Song" again. I like him best in longer pieces, with a repetitive hypnotic left hand, over and above which his right hand works magic in the form of beautiful improvisation (part X). He even talks to the audience (although ununderstandable), and that's already a small miracle, and you have to be able to stand that the applause and the shouting of the enthusiastic crowd at the end are entirely reproduced on the album, but this should not deter anyone from buying it. 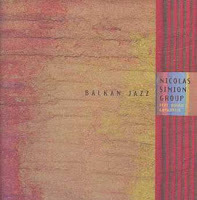 Balkan jazz is actually a kind of fusion - a jazz version of balkan music, taking over the rhythms and melodic structures of the region, but with a jazz line-up, and hence cannot be really called world music. The performers do not necessarily have to be from the Balkan, although it helps if you look at the list below. Some American musicians should get a permanent visa for each balkan country, though, such as reedist Matt Darriau and guitar/saz-player Brad Shepik. Balkan music is by itself already a mix of many influences : European folk, roma music, Turkish music and jewish klezmer. The complexity of its rhythms, the important role of free improvization and its openness to other musical forms make it in spirit closely linked to jazz. Other suggestions? Let me know. 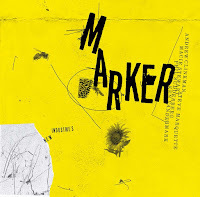 Last year's Balladware was relatively soft and accessible, some of David S. Ware's albums in the past were relatively hard (but rewarding), this one might even convince those not entirely convinced by the concept of free jazz. Ware is accompanied by some of his usual partners, Matthew Shipp on piano, Guillermo E. Brown on drums and William Parker on bass, all top-notch players to say the least. 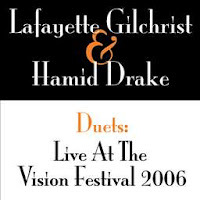 The album was recorded live at the Vision Festival in New York in 2006, and it is magnificent. You can hear these guys have played for years together and anticipate each other's moves. "Ganesh Sound", the first piece, brings a slow and melodic piano line over which Ware floats so spiritually with a deep yet expansive tone, melodic too, but harsher, crying, shouting over the melody without disturbing it. The "Renunciation Suite" falls into three pieces, the first one intervallic, with unaccompanied solos of Ware on sax alternating with Shipp, Brown and Parker playing as a band, which gives the strange impression of strangers meeting on a road and starting a conversation, sometimes agitated, sometimes subdued, sometimes sad, moving into a more boppish mode, with Shipp exploring some dissonant sounds at times plucking the strings of his piano directly, again in call and response with David S. Ware. 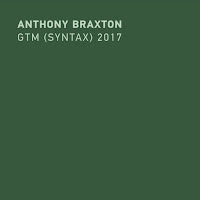 The second part is more fierce and intense abstract interplay, leading into a calmer third part, but no less intense, entirely made up of complex piano and arco bass interplay. And that's possibly the best aspect of this album, that Ware gives ample space to his bandmates, something which has not always been the case in the past (I should check but I think that on Live In The World, his triple live album, Ware can be heard at all times!). "Mikuro's Blues" is a blues indeed, but transformed in an interesting way, with repetitive playing by Shipp. David S. Ware has made many albums, using various angles of approach, such as including electronics, or referencing to tradition, or just organizing some hard blowing fests, and most of them are worth hearing, but he's always at his best in a live context, with the audience playing a key role as enthusiastic response mechanism, and this album should not be missed. I did not know Frode Haltli. And that was a mistake on my side. He appears to be an excellent accordionist, playing his instrument alrealy since he was seven years old, and winning awards and competitions all over Norway. Yet mastering an instrument is one thing. The question is what you do with this skill. And Frode Haltli does a lot with it. This album is great. It's the musical equivalent of lying on your back in the grass watching the clouds drift by. The clouds have form, yet no structure. They have volume, but no substance (and this is not meant negatively). Haltli gets great support here from Arve Henriksen on trumpet, who as usual gets sounds out of his instrument which come close to a bassflute, from Garth Knox on viola, and from Maja Solveig Kjelstrup Ratkje on worldless singing. 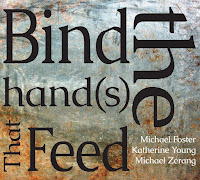 This CD offers a pretty strong unity of musical vision, and offers something unique to music per se.